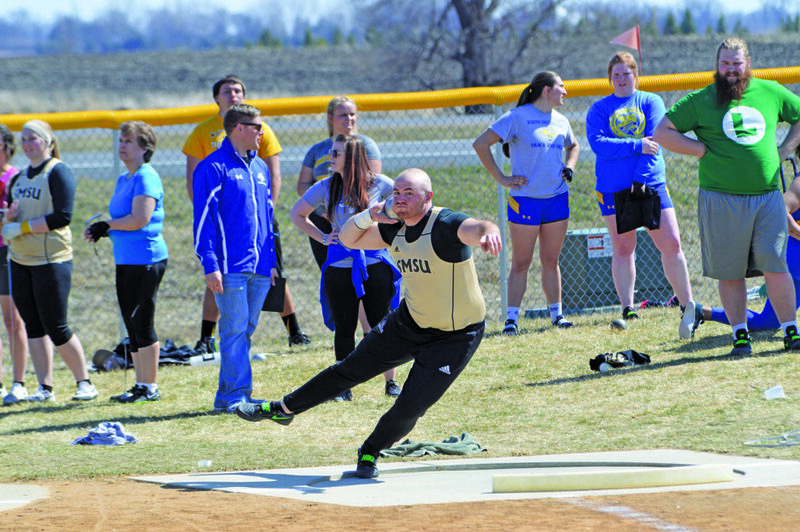 Independent file photo SMSU’s Alex Weis competes in the shot put event on April 1. He finished in third with a throw of 15.45m. Weis will be representing Team USA in the Summer Deaflympics in Samsun, Turkey next week. 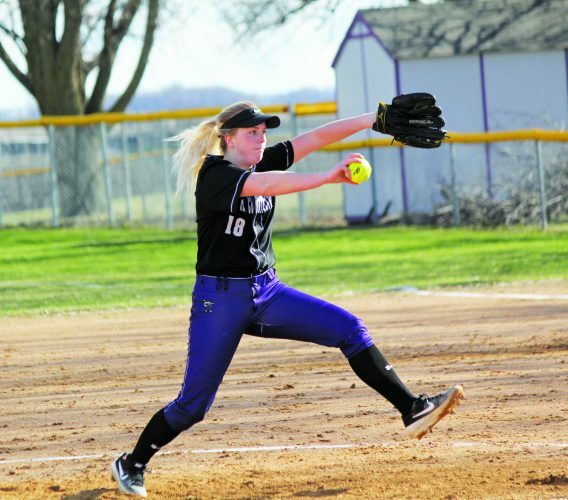 MARSHALL – Alex Weis hasn’t spent much time outside of Minnesota, or even the southwest region of the state for that matter. Growing up in Luverne, Weis attended Luverne High School before making the 68-mile journey up Highway 23 to Marshall where he would go to Southwest Minnesota State University to pursue a career in physical education teaching. Weis also attended SMSU for another reason: their track and field program. 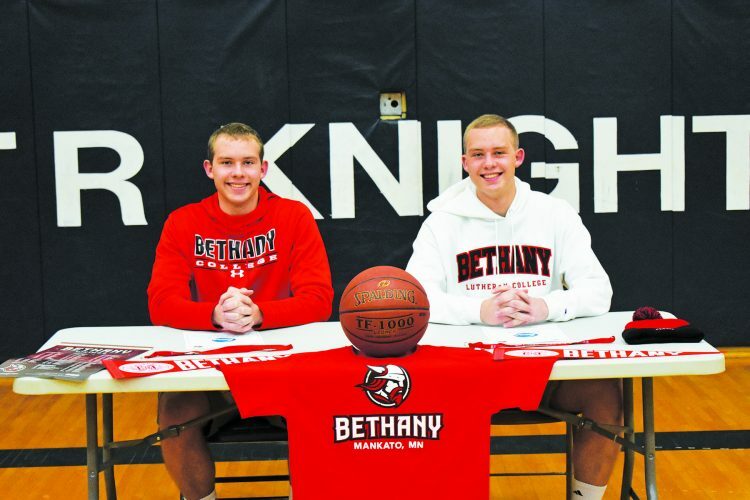 After earning All-Conference honors and trips to the state tournament for the Cardinals, Weis wanted to continue his athletic career with the Mustangs, competing under the helm of head coach Dan Allen. As a freshman, Weis placed fourth at the NSIC outdoor championships in the discus event with a throw of 45.65m and came in seventh in the shot put with a toss of 13.61m at the Dordt Open. His sophomore season saw an 11th place finish in the discus and hammer throw at the NSIC outdoor championships and a second place finish in the hammer throw at the Red Raider Open with a mark of 48.10m. Weis’ junior season was even more successful, as he earned All-NSIC honors after finishing third in the shot put at the NSIC indoor championships with a throw of 15.82m. He also won the shot put event at the NSIC outdoor championships with a mark of 16.29m and earned All-NSIC honors there as well. In his final season, Weis came in first in three different meets in the shot put in the indoor season before capping off his SMSU career with a Top 3 finish at the NSIC outdoor championships in the shot put, hammer throw and discus events, including his second consecutive championship in the shot put. Next week, Weis will take on competition far from the friendly confides of Marshall and SMSU, as he will travel nearly 6,000 miles to represent Team USA in the 23rd Summer Deaflympics in Samsun, Turkey. In order to qualify for the Deaflympics, the individual competing must have 55dB in their best hearing ear without the assistance of a hearing device. The average of dB is measured between three frequencies: 500, 1,000 and 2,000mhz. To make Team USA, the Top 8 finishers from the prior two Deaflympics are averaged by the USA Deaf Track and Field, Inc. Individuals are then invited to compete on the team if they meet the qualifications. Weis said he hadn’t really heard about the competition until someone mentioned it to him, but added he was excited when he heard he had qualified. This is the first time Weis is competing in the Deaflympics, but he won’t be alone for the journey, as SMSU assistant track and field coach Justin Romero will be accompanying him on the trip to Turkey. Weis said it’s great to have a familiar face by his side while he competes and can help him along the way. Romero just completed his fourth season as the assistant coach with the Mustangs, and will be serving as the throws coach for Team USA during the Deaflympics. He said it’s an honor to be out there helping coach the USA athletes and learn along the way. Weis said his time at SMSU certainly helped to his ability to compete on the international level. Romero said Weis has shown a lot of growth over the last four years and is proud of his willingness to keep learning and getting better. Weis will be competing in the shot put, hammer throw and discus events. The shot put prelims begin on Sunday, July 23, at 8 a.m, with the shot put finals happening the next day at 10 a.m. The hammer throw finals are on Tuesday, July 25 at 9:40 a.m. and the discus throw prelims are on Wednesday, July 26 at 8 a.m. Weis wraps up competition on Thursday, July 27 at 12:10 p.m. with the discus throw finals. All times are Minnesota time. Weis said he’s looking forward to competing with a different blend of athletes as well as how they communicate with their coaches via sign language.